If you were to ask what Bill Gates and Sergey Brin have in common you'd probably say that they are among the richest individuals in the tech industry. And you're not wrong. Bill Gates is the founder of Microsoft and his net worth is valued at $90 billion making him the richest man in the world. As for Google's co-founder Sergey Brin, his net worth is valued at $39.4 billion. But there is more than their immense wealth or industry that they have in common. One way or another, these men have been involved in genetic research. Their findings have turned into financing research to find a cure to diseases that could be detrimental to human life. According to DNA Today people are motivated to discover their genetic make-up for several reasons. Some of the common reasons are to know their ancestry, genealogy or their health. 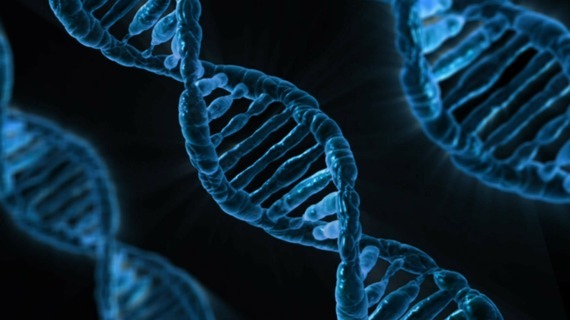 To help cater for the increasing curiosity of their genes, health companies like 23andMe offer DNA testing kits that will enable the user to send a sample for testing. What if a report of over 60 pages could be the window to your past and your future? What if it could also help you prevent any possible illnesses that may run in your family? What if it could connect you with people you never knew you were related to? Advanced scientific and medical technology makes it easy to know your genetic make-up. The personal genome-testing company, 23andMe was founded by Anne Wojcicki, a former Wall Street analyst. 23andMe was based on the firm belief that everyone has the right to know the look, form and future of their health through their genetic make-up, and Anne passionately pursued it. Through the 23andMe one can get to know their genetic make-up by sending a saliva sample in the test tube 23andMe provides in their kit. The results then get sent to you in form of a report where you can get to know a lot about what's in your DNA. Among other information you get know about are your genealogy, ancestry, origin, the physical traits you acquired and the type of illnesses inherent in your family line, including those you may be prone to pass on to your children. Through this means, Sergey Brin got the chance to find out what was lodged within his genes. It was discovered that he is a carrier of a gene that would increase the risk of him having a neurodegenerative disorder called Parkinson's disease. As a carrier of this gene, Sergey faces a great risk of manifesting Parkinson's sometime in the future. The good news is that studies have shown that there are some things that could help lower the risk of Parkinson's. It was found that exercise could reduce one's risk of the disease. This is why Sergey engages in a lot of physical activity like swimming, yoga and aerobics. Another interesting study shows that coffee drinkers and smokers exhibit a low risk of Parkinson's disease. However Sergey is not fond of coffee and switches to green tea instead and of course, smoking is out of the question. Sergey is dedicated to lowering his risk of Parkinson's disease and generously contributes to Parkinson's research in the research of drugs and possible cures to Parkinson's. What if there's a way to stop the spread of a parasite without having to kill the carrier? What if the carrier could be sterilized to prevent it from infecting people? The Bill and Melinda Gates Foundation was founded by Bill and Melinda Gates with the main aim of enhancing health care and reducing extreme poverty in the world and expanding educational opportunities and access to information technology in America. Since its launch in 2000 the Gates Foundation, as it is also called, is known as the largest private foundation in the world. One of the foundation's powerful and perhapsmost controversial contributions to the world is their project to eradicate Malaria. According to the World Health Organization Malaria is the cause of almost 500,000 deaths and each year it infects more than 200 million people. Although there are various prevention and precautionary measures to help combat malaria such as using treated mosquito nets, mosquito repellants, and clearing your surrounding of stagnant water and drugs for the treatment of malaria, malaria is still a major concern in the world most especially in the tropics. To completely eradicate the malaria parasite Bill Gates endorsed the use of a genetic editing tool, CRISPR. This tool has the ability to genetically cut and paste the genes so as to alter the DNA of the mosquito. The malaria parasite is spread through the female Anopheles mosquito, the carrier of the parasite, whenever it bites its victim. The idea behind the genetic editing tool is to create sterile or malaria-resistant mosquitoes to bring an end to the spread of the malaria parasite. By releasing the genetically altered mosquitoes in the ecosystem to mate with other mosquitoes will ensure that the malaria parasite is not inherited by its offspring. This is anticipated to reduce the number of carriers of the malaria parasite and completely eradicate the deadly effects of malaria. Although it will take time, there is hope in the horizon.